At current operating levels it is estimated that Tshipi Borwa is the largest manganese producer in South Africa and amongst the top three in the world. Tshipi sold 3.3 million tonnes of manganese in its financial year. Tshipi declared distributions of ZAR1.5 billion for the 2017 year. On 18 April 2018, Jupiter was successfully relisted on the ASX. In 2008, Gemfields Group Limited (formerly Pallinghurst Resources Limited) (“GGL”) and a consortium of investors (the “Investors”) set out to acquire a 49.9% interest in Tshipi é Ntle Manganese Mining (Pty) Limited (“Tshipi”), an early-stage manganese exploration opportunity within the Kalahari Manganese Field (“KMF”). The property is situated adjacent to Samancor’s Mamatwan manganese mine that has been in operation since 1964, and its deposit is an extension of the same ore body. The balance of 50.1% of Tshipi’s shares is held by Ntsimbintle Mining (Pty) Limited (“Ntsimbintle”), a broad-based BEE consortium (consisting of Safika Resources, Nkojane Economic Prospecting and a number of national and local economic development and community organisations and social trusts), and OM Holdings Limited (“OMH”), an Australian Securities Exchange-listed (“ASX”) listed integrated manganese mining and trading house. GGL and the Investors provided exploration funding, proving an initial 189 million tonne manganese deposit. Subsequent drilling increased this to a resource base of 460 million tonnes as at 31 December 2017. In 2010, South Korea’s POSCO, one of the world’s largest steel producers, acquired a stake in Tshipi from the existing Investors. This transaction introduced to Tshipi the skills and expertise of a leading manganese end-user. In 2011, Jupiter Mines Limited (“Jupiter”), then an ASX-listed company in which the Group already held an investment, acquired GGL and the Investors’ 49.9% interest in Tshipi. Jupiter delisted from the ASX on 10 January 2014. Following the decision to construct Tshipi Borwa in 2011, rapid commissioning of the open-cast manganese mine and related infrastructure enabled the mining, railage and export of its first manganese ore by the end of 2012. 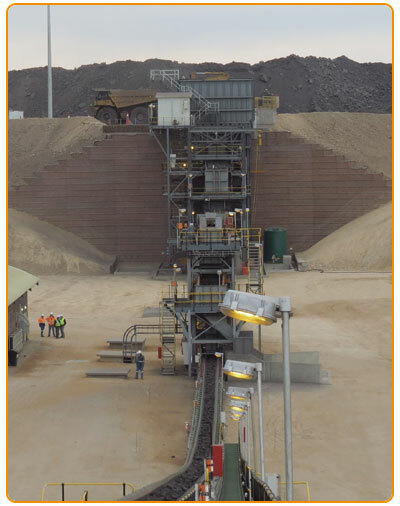 Tshipi’s state-of-the-art rapid load-out station was commissioned during 2014, enabling the loading of bulk trains in only three hours and skiptainers in less than two hours, much faster than most of its competitors. This rapid loading ability positions Tshipi Borwa to be well supplied with additional trains when there is spare capacity on the network. Tshipi’s eight-kilometre rail siding is also the largest in the KMF, capable of accommodating a train with over 200 wagons, further positioning Tshipi to be Transnet’s customer of choice. In 2008, Pallinghurst assembled a consortium of Pallinghurst Co-Investors, including the Group, to acquire a 49.9% interest in Tshipi é Ntle Manganese Mining (Pty) Limited (“Tshipi”)*, an early stage manganese exploration opportunity within the KMF. The property is situated adjacent to Samancor’s Mamatwan manganese mine that has been in operation since 1964, and its deposit is an extension of the same ore body. In 2010, South Korea’s POSCO, one of the world’s largest steel producers, acquired a stake in Tshipi from the existing Pallinghurst Co-Investors. This transaction introduced to Tshipi the skills and expertise of a leading manganese end-user. In 2011, Jupiter Mines Limited (“Jupiter”), then an ASX-listed company in which the Group already held an investment, acquired the Pallinghurst Co-Investors’ 49.9% interest in Tshipi. Jupiter delisted from the ASX on 10 January 2014. In 2011, following the granting of the necessary administrative approvals and licenses, the decision was taken to construct Tshipi Borwa, an open-pit manganese mine. Rapid commissioning of the mine and related infrastructure enabled Tshipi Borwa to mine, rail and export its first manganese ore by the end of 2012. Tshipi’s state of the art rapid load out station was commissioned during 2014, enabling the loading of bulk trains in less than four hours and skiptainers in less than two hours, much faster than most of its competitors. This rapid loading ability positions Tshipi Borwa well to be supplied with additional trains when there is spare capacity on the network. Tshipi’s eight kilometre rail siding is also the largest in the KMF, capable of accommodating over 200 wagons. * The balance of 50.1% of Tshipi’s shares is held by Ntsimbintle Mining (Pty) Limited (“Ntsimbintle”), a broad-based BEE consortium (consisting of Safika Resources, Nkojane Economic Prospecting and a number of national and local economic development and community organisations and social trusts), and OM Holdings Limited (“OMH”), an Australian Securities Exchange (“ASX”) listed integrated manganese mining and trading house. The Pallinghurst Co-Investors provided exploration funding, proving a 189 million tonne manganese deposit at an estimated average grade of 37%. The strong price environment for manganese enabled Tshipi to produce and sell 3.6 and 3.3 million tonnes, respectively, during its financial year ending 28 February 2018, and, at current operating levels, it is estimated that Tshipi Borwa is the single-largest manganese mine in South Africa and amongst the top three in the world. Due to its strong production ramp-up and low-cost profile, and supported by the strong performance of the manganese price, Tshipi has distributed ZAR2.6 billion to its shareholders since 1 January 2017, with Jupiter receiving its 49.9% share, being approximately ZAR1.3 billion. Jupiter announced that Tshipi expects its financial year ending 28 February 2018 to close with approximately US$250 million and US$160 million in EBITDA and net income, respectively. Notwithstanding a steep drop in the manganese price in the first quarter of 2017, the company was able to distribute ZAR1 billion to its shareholders, allowing Jupiter to complete its own U$55 million share buy-back. During the year, Tshipi demonstrated its ability to produce at a rate of up to 3 million tonnes per annum, which could significantly improve profitability when high manganese prices are sustained. Environment, safety and corporate social responsibility. Tshipi is committed to contributing positively to the development of the community in which it operates. In conjunction with the Joe Morolong Municipality, Tshipi provided a local waste management company with vehicles and office space, mentorship and training, and a contract for providing waste removal services to the mine. Tshipi continues to support and develop the skills of local community members and offers bursaries, internships and adult learning courses. Tshipi has also provided funding for a water infrastructure project that provides the local community with a sustainable water supply; enabled the construction of a health care clinic and the enhancement of local services within the Joe Morolong Municipality. Tshipi also continues to provide free health screening and medical surveillance to employees and actively promotes sustainable mining by replanting trees, the creation of an onsite nursery and the establishment of a wildlife conservation area. Tshipi Borwa is a shallow, open-cut mine, which typically is the safest form of mining operation. Tshipi adds to this structural advantage through placing strong emphasis on worker safety programmes and procedures. No fatalities have ever occurred at Tshipi Borwa and this positive safety record continued with only three reportable lost time injuries during 2016; a notable achievement over a twelve- month period. Jupiter holds two iron ore exploration assets in the Central Yilgarn region of Western Australia, the Mount Mason Direct Shipping Ore (“DSO”) hematite project and the Mount Ida magnetite project. Mount Mason has a measured/indicated DSO resource of 5.9 million tonnes at a grade of 60.1% Fe (iron) and has the potential to produce 2 million tonnes per annum. Mount Ida has a JORC-compliant inferred resource of 1.85 billion tonnes at 29.48% Fe and has the ability to produce 10 million tonnes per annum of high-grade magnetite concentrate. Whilst Jupiter believes in the long-term viability of these projects, they will remain on care and maintenance until market conditions improve. With the expected closure of Cleveland Cliff’s Yilgarn operations, it is expected that infrastructure in the form of rail and port capacity at the Port of Esperance will be released and available should Jupiter decide to proceed with these projects when market conditions improve. In January 2017, Jupiter made an equal offer buy-back of 6% of its shares in issue, at US$0.40 per share, representing a price in excess of five times the price at which its shares last traded on the ASX in January 2014. The Group participated in this Jupiter share buy-back, receiving approximately US$10.1 million in March 2017. In September 2017, Jupiter made another equal offer buy-back, this time of 4% of its shares in issue, at US$0.29 per share. The Group participated in this Jupiter share buy-back, receiving approximately US$4.6 million in December 2017. In December 2017, Jupiter released its half-year financial report for the period ended 31 August 2017. Jupiter recorded a post-tax profit of AUD33 million. Also in December 2017, Jupiter announced that it had appointed Hartleys Limited, Foster Stockbroking Pty Ltd and Aitken Murray Capital Partners to execute its targeted relisting on the ASX in 2018. In January 2018, Jupiter made a further equal offer buy-back of 5.81% of its shares in issue, at US$0.35 per share. The Group participated in this Jupiter share buy-back, receiving approximately US$7.7 million in March 2018. On 19 March 2018, Jupiter Mines Limited (“Jupiter”) announced its intention to relist on the ASX in order to provide liquidity for its shareholders. This was expected to be achieved via a placing of up to 600 million existing Jupiter shares with new investors at AUD0.40 per share, thereby raising up to AUD240 million and putting a value on Jupiter of approximately AUD780 million. On 12 April 2018, Jupiter announced the full allocation of the IPO shares, yielding AUD 240 million. PRL had previously committed to making available for sale up to 212,028,012 of its Jupiter shares at the placing pric of AUD 0.40 per share. On 19 March 2018, Jupiter Mines Limited (“Jupiter”) announced its intention to relist on the Australian Securities Exchange (“ASX”) in order to provide liquidity for its shareholders. This was expected to be achieved via a placing of up to 600 million existing Jupiter shares with new investors at AUD 0.40 per share, thereby raising up to AUD 240 million and putting a value on Jupiter of approximately AUD 780 million. Jupiter Mines Limited (“Jupiter”) is pleased to announce the full allocation of its A$240 million Initial Public Offering (“IPO”), comprising a A$225 million institutional allocation and a A$15 million allocation in the general public offer. The IPO was significantly oversubscribed.